Currently, the Sunrisers Hyderabad (SRH) are locking horns with Delhi Capitals (DC) at the Rajiv Gandhi Stadium in Hyderabad. After winning the toss, the SRH skipper, Kane Williamson asked the visitors to bat first. 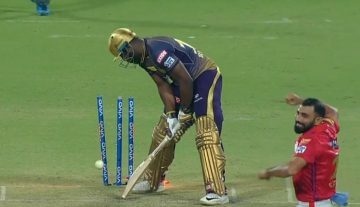 However, the hosts started on a rough note as both their openers, Shikhar Dhawan and Prithvi Shaw got dismissed in the first 20 balls itself. During the toss, the DC skipper, Shreyas Iyer revealed that they have made a couple of changes in the squad as Colin Ingram and Rahul Tewatia made way for Colin Munro and Amit Mishra. On the other hand, SRH made as many as four changes in the squad as Mohammad Nabi, Yusuf Pathan, Manish Pandey, and Siddharth Kaul made way for, Williamson, Ricky Bhui, Abhishek Sharma, and Khaleel Ahmed. Both the opening wickets were taken by Khaleel as he dismissed Shaw in the 2nd over followed by Dhawan in the fourth. After their dismissal, Munro along with Iyer added 49 round for the third wicket before the former getting out to the young Abhishek Sharma in the 8th overs. However, before getting out, Munro smashed Sharma for a huge six over long-on. After Munro dismissal, Rishabh Pant came out to bat and he added 56 runs with Iyer for the 4th wicket before the latter getting out in the 16th over by Bhuvneshwar Kumar. In the next 8 runs, Delhi lost two more wickets of Pant and Chris Morris by Khaleel and Rashid Khan respectively. DC was reeling at 142/6 after the 19 overs with Keemo Paul and Axar Patel batting at the crease. 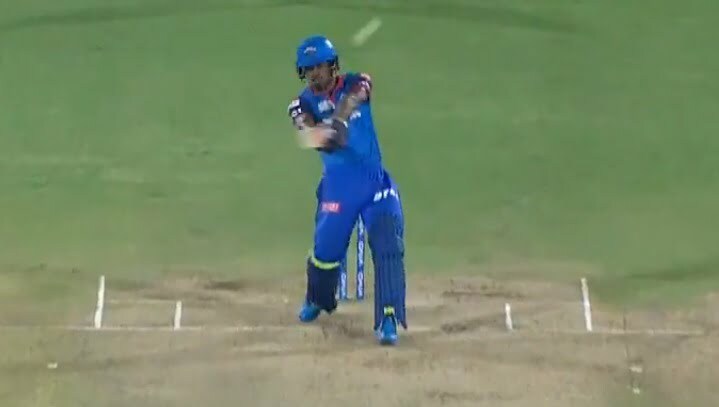 Bhuvneshwar started with a no-ball but Axar failed to capitalize it even on the free-hit delivery, but on the next ball, when Paul was on the strike, he smashed the pacer for a huge six. It was slower ball outside off and the batsman has really got hold of it o struck it powerfully over deep midwicket. Bhuvi had his revenge on the very next delivery as he bowled a toe rusher yorker which was right on target this time and it was tailing in on the middle stump which left the batsman hanging back and the umpire gave it LBW. A delivery like this has been missing from Bhuvneshwar’s repertoire for quite some time now.